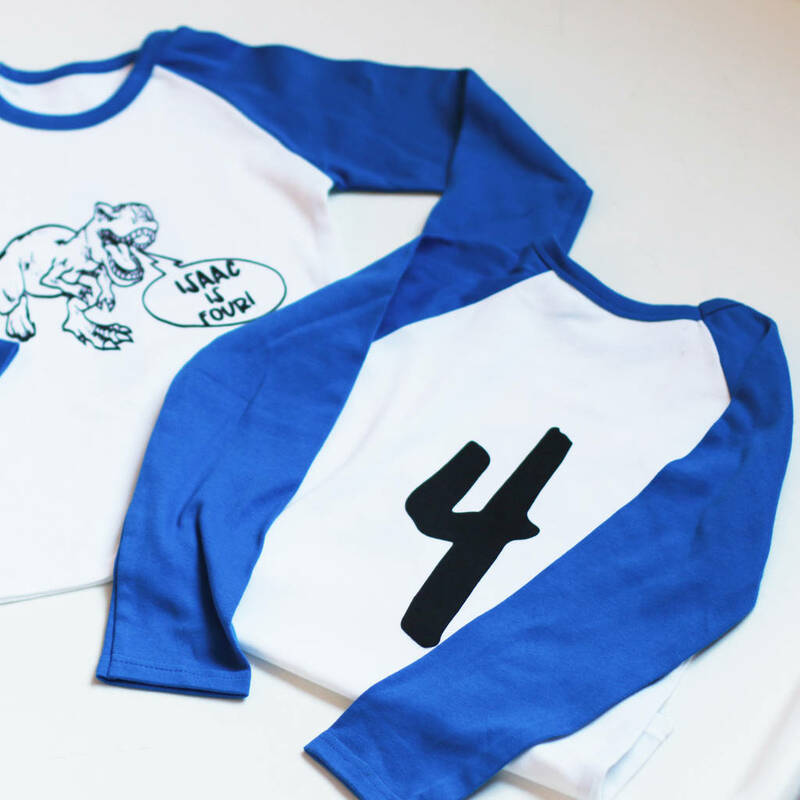 Our personalised dinosaur birthday raglan with make any dino enthuiasts special day that extra bit special. 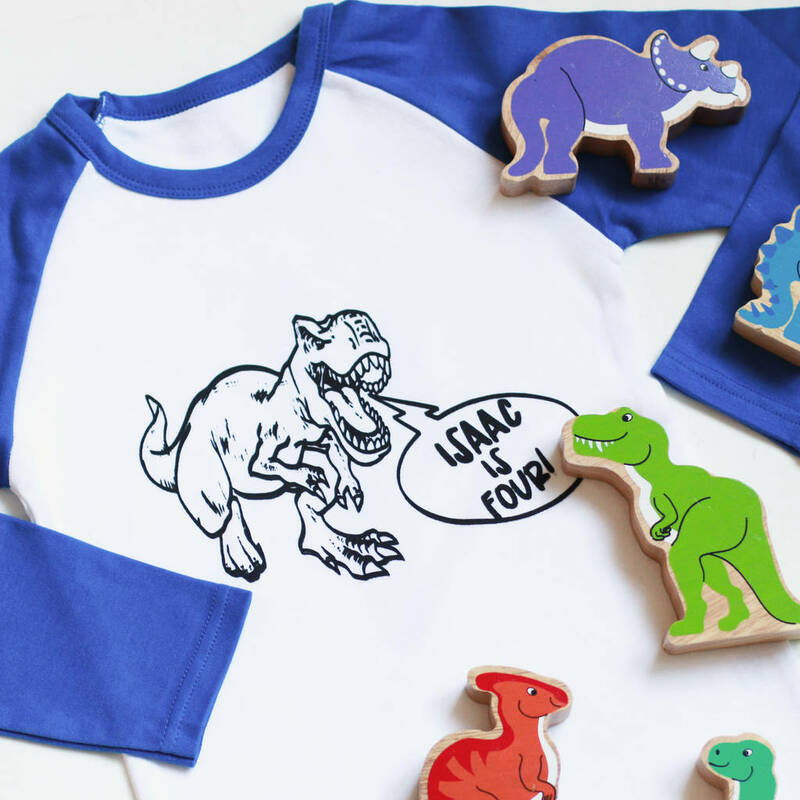 The perfect outfit for a dinosaur themed birthday party! Whether its a first birthday, second or either our dinosaur t-shirt makes the perfect birthday outfit. Can be personalised with any name or age with the added option to add a number on the back. 100% cotton t-shirt hand screen printed with eco friendly water based inks. 100% cotton printed with eco friendly water based inks.